Location, location! You get the best of both worlds: convenient to city life with all the perks of country living! Less than 4 miles from LW! Here’s your opportunity to slow down and savor fresh picked eggs in the morning or complete that weekend project in the 2-car detached garage- the air compressor conveys. There’s a 3-car attached garage! The entire 5.38 acres are level and fenced, there’s a barn that can house a horse or two and when RV traveling guests arrive, there’s a covered RV parking spot w/electricity! The home is full brick with 3BRs on main and a 4th BR upstairs (septic permit is for 3BRs) plus a bonus room & large walk-in attic. 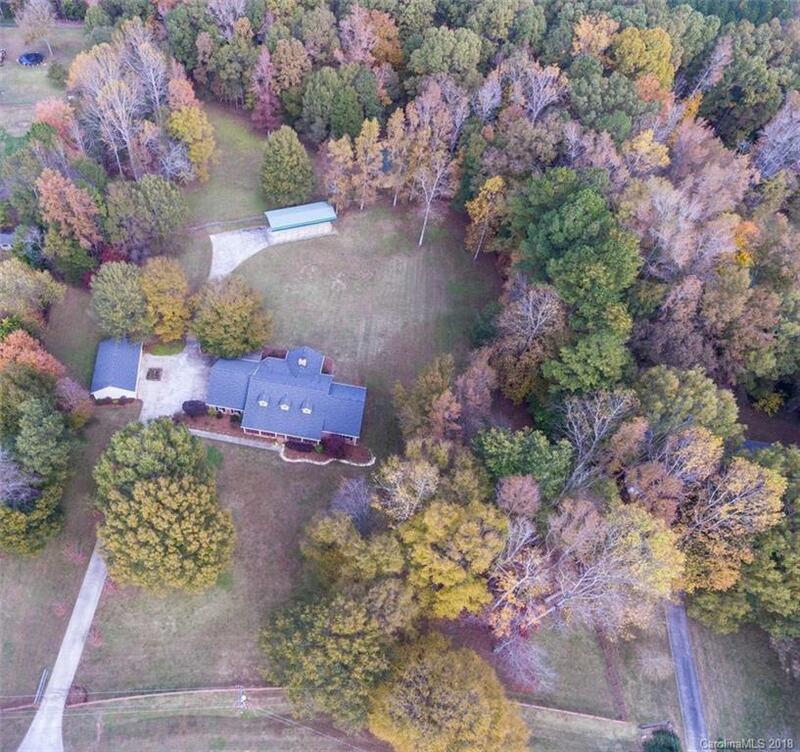 A large family room w/wood-burning fireplace (think smores), flex space or formal dining, huge kitchen w/abundant cabinets, large island & 2 refrigerators convey! There’s also a gorgeous vaulted sunroom overlooking the backyard, trex deck & pergola. Transferable 2-10 home warranty in place! Wired for generator when needed. Welcome home!